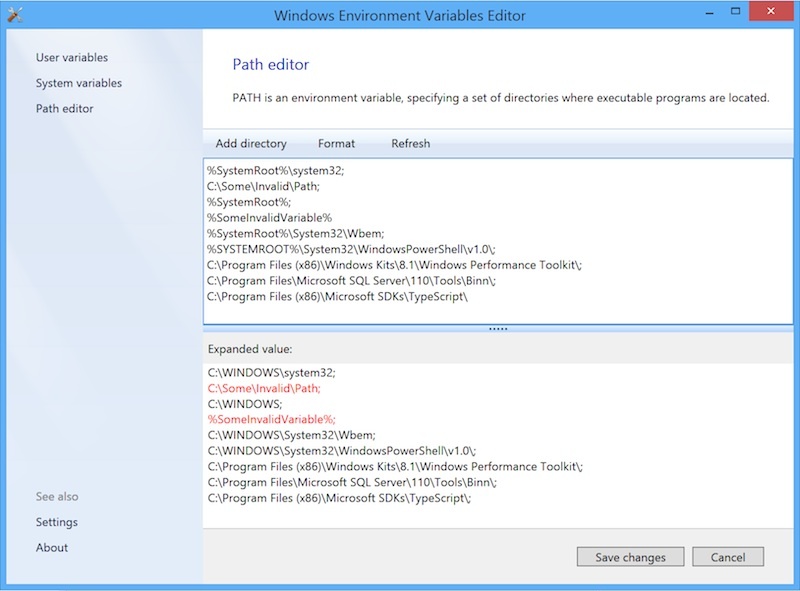 Windows environment variables editor 1.5 beta 3 now validates each %PATH% variable fragment and highlights the faulty ones. 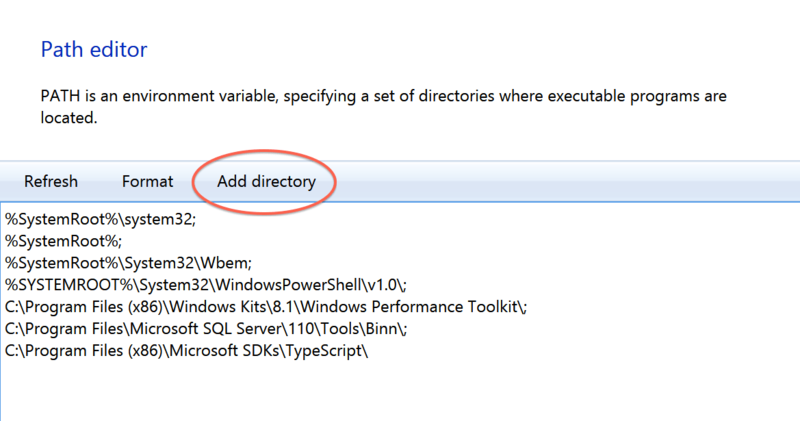 A fragment can represent a directory or another environment variable. In latter case it will be expanded prior to validation. Download the beta and enjoy! Beta 2 of the upcoming Eveditor 1.5.0 is ready for download. It contains a bunch of fixes and new button in PATH editor that allows to easily select and add a directory to Windows PATH variable.